Combating money laundering in the euro area requires a common European framework and a single European institution to supervise the process, Daniele Nouy, Chairwoman of the Supervisory Board of the European Central Bank, said in an interview with LETA while commenting the recent money laundering scandals involving ABLV Bank in Latvia and a Danske Bank branch in Estonia. "Combating money laundering is hard work and it also requires a sound legal framework. In Europe, this area is also governed by a directive, which means there is a risk of it being implemented in 19 different ways in the euro area. I personally think that combating money laundering requires a common European framework, hence a regulation rather than a directive. I also think that it would be better to address the money laundering issue through a European institution," said Nouy. 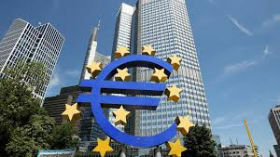 At the moment, the ECB directly supervises the largest banks of the euro area, while money laundering investigations stay at the national level. "I am sure that my colleagues are doing the best they can. But in this relatively small country, compared with the rest of the euro area, which has correspondingly small supervisory institutions, it is difficult to obtain enough staff with the required expertise and experience to focus on this issue. This is all the more critical since the geopolitical risks in this region, in the Baltic and Scandinavian region, I would say, are not negligible," stressed Nouy. She believes it would be better if there was an institution performing a role similar to that of the ECB in the area of supervision. "It would enable us to work on the prevention of money laundering and to take the relevant decisions from a European perspective, which would be much more powerful. I have talked to European legislators about this too, and I am convinced that it will happen in the future as this, together with a fully harmonized legal framework, would provide powerful solutions to the problems faced by certain countries. But when we had those discussions, the development of the new directive had already reached its final stages, so it was probably a bit too late to transform it into a regulation," said Nouy. Furthermore, it may be very hard to identify banks involved in money laundering - for the most part, such banks are well capitalized, have no non-performing exposures and have good liquidity. "If they were assessed by a machine rather than the judgement of a supervisor, these banks would get the highest evaluations. So this is a pretty complicated issue for a prudential supervisor," said Nouy. In Latvia the ECB currently directly supervises Swedbank, SEB Banka and Luminor Bank. As reported, the ECB withdrew ABLV Bank's license on July 12. That bank, too, was supervised by the ECB.